One of the reasons why BPI Roxy is effective revolves around its herbal contents. This supplement contains ginger, yohimbe extract, vitamin D3 and a large amount of anhydrous caffeine. This supplement is therefore a thermogenic compound while it also can reduce one’s appetite. The only downside is that the concentration of these ingredients is very strong. Those who are not accustomed to energy supplements have been known to experience dizziness, palpitations and a flushing of their skin from time to time. Each bottle contains 45 soft gel capsules. However, it is recommended that users take approximately six pills a day (two in the morning, two in the afternoon and two in the evening). This could prove to be a slight issue for those who have tight work schedules. As these are time-release capsules, they are able to provide a sustainable supply of energy throughout the day. The packaging of this product draws the attention of the customer. The contrasting use of white, black and blue provides a sense of energy; exactly what BPI Roxy claims to offer. Customers who purchase a bottle are also offered a free shirt and shaker bottle, so this additional promotion could be additionally appealing to many shoppers. Rating: 85% out of 100%. 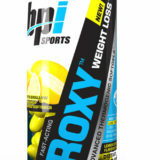 BPI Roxy currently retails for $54 dollars a bottle (44 pounds). It is therefore on the high end of dietary supplement prices. Let us not forget that those who take the recommended dose will need to purchase another bottle after only seven days of use. Anyone on limited budget might therefore wish to choose a product with similar ingredients that costs significantly less. 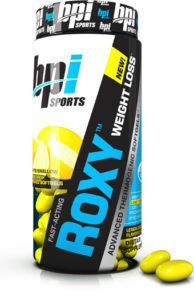 Anyone who has been searching for a powerful fat burner will likely be pleased with what BPI Roxy can offer. However, some users may experience uncomfortable side effects and the price of this supplement is quite high when compared to similar formulations. It is nonetheless effective for those who have been hoping to trim off those pesky kilogrammes while reducing their daily appetite.